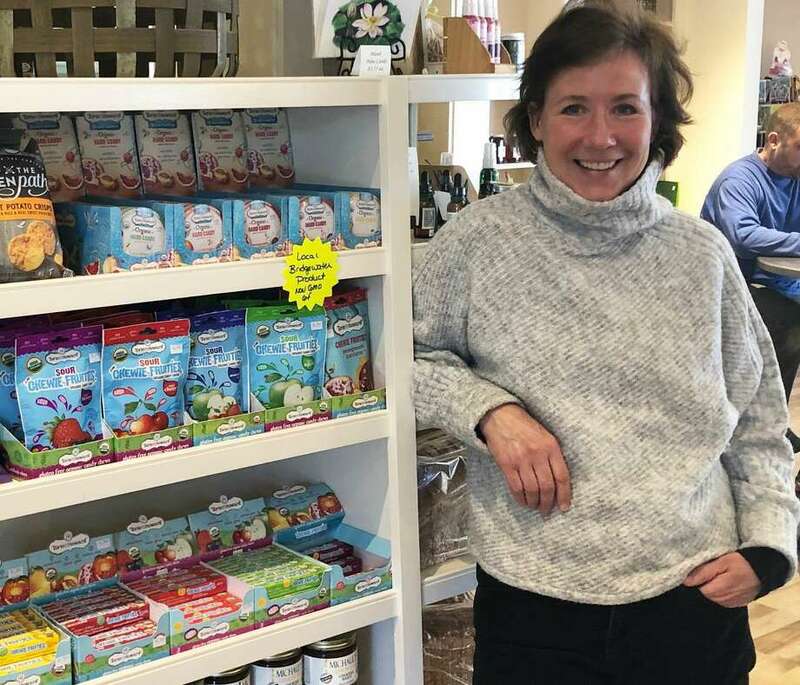 Bridgewater resident Torie Burke, one of the founders of Torie & Howard candy company, said a new product will be released in 2020. The company was founded in 2010 and launched its first products - hard candies - in 2012. The products are available locally at numerous businesses, including the Bridgewater Village Store. The New Milford candy company Tori & Howard continues to grow and looks forward to the release of a new product next year. Tori & Howard’s products are USDA certified organic, vegan, contain all-natural ingredients and are allergy friendly. “We want to be something special and be priced for mass market,” said Burke, who noted that they are working on a new product, but are not yet ready to make the details public. The company’s products are available in nearly 20,000 stores, not including exports. Among the stores are 7-Elevens, Luvs, Krogers and Whole Foods, as well as local businesses. “The soft candies are delicious,” she added. Burke founded the international company with business partner Howard Slatkin in 2010. Together, they wanted to make a quality candy that tastes good and was healthier than other products on the market. After two years of extensive research and product development, the company launched its first products — hard candies — in 2012. “We wanted to ensure our product was made well and that the product held up to our standards,” Burke said, adding they hired specialty food consultants during the development stages. Four dual-flavored hard candies in tins initially hit the market and were so successful, a fifth flavor was added. Pink grapefruit and tupelo honey, pomegranate and nectarine, d’anjou pear and cinnamon, blood orange and honey and raspberry are available. Three years after rolling out the hard candy, Torie & Howard added Chewie Fruities, eventually followed by Sour Chewie Fruities. Both are sold in a pouch and in a stick pack. The stick packs, launched in 2017, allowed the company to get even more exposure since they are packaged to be placed near checkouts of stores. “It’s an amazing packaging product for us,” said Burke, who resides in Bridgewater. The co-founder said most people appreciate treats but noted that consumers are more aware now of ingredients and are making more educated and thoughtful decisions about what they buy. “We are really happy about being a part of the change for the better in our food system,” she said. Burke and Howard, who is no longer involved with the day-to-day operations, first met 20-plus years ago through their careers in the design industry, which took them around the world. In 2008, Slatkin faced health challenges and made lifestyle challenges that led to a more than 100-pound weight loss. Meanwhile, Burke was diagnosed with food allergies. Her diet is gluten and dairy free. Their combined passion for clean and natural food drew them together to open Torie & Howard. “It’s extremely satisfying when someone says, “Thank you, my son or daughter feels normal,’” Burke said, explaining how the company’s products have allowed individuals with allergies to enjoy a special treat. Products are available at numerous places, including Natural Marketplace, Washington Market, The Market in Northville and Bantam, Bridgewater Village Store, New Morning in Woodbury, Roxbury Market, Bridgewater Village Store and Bank Street Theater. Wayne Ferris, owner of Roxbury Market, describes the products as “a pretty good seller” at his business. For more information, visit http://www.torieandhoward.com/ or call 888-826-9554.